Javier Martín-Torres, head of the Group of Atmospheric Science and acting as representative of the Luleå University of Technology (LTU), is in charge of the coordination of the Swedish contribution to the IGOSP (Integrated Global Observing Systems for Persistent Pollutants). 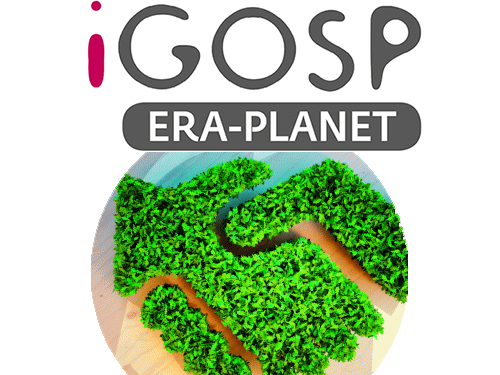 IGOSP is framed in the ERA-PLANET programme, specifically in its STRAND-3, devoted to Global change and Environmental treaties, whose ultimate objective is “to develop a new paradigm for real-time monitoring of the quality of our environment with reference to the contamination of air, water and terrestrial ecosystems by persistent pollutants”. In order to contribute to this overarching goal, IGOSP Project is aimed to the integration of real-time monitoring data from various platforms, the development of modelling tools, and the establishment of an advanced global cyber-infrastructure for data sharing and interoperability. To cope with this commitment, IGOSP project poses different working areas, including the integration of remote and in-situ observations of pollutants, identification of pollutant hot spots, validation of data, and modelling of the pollutant cycles. Other core concerns of the project are the implementation of readily available, properly formatted, and reliable environmental databases within reach of any research team, and the provision of support to policy makers. ERA-PLANET (The European Network For Observing our Changing Planet) is a wider programme intended to reinforce the European participation in the Group on Earth Observation (GEO) by developing the research in the field, contributing this way to achieve the main goal of this intergovernmental effort, which is to improve and coordinate global Earth observation systems, and to provide and invigorate open databases, facilitating the access to them and their broad use. In this sense, the programme aims to generate information which can serve as a reliable reference for decision makers regarding natural resources management and related environmental issues.